Kaja Caroline Kojan, 20, was crowned Miss Universe Norway 2017 in Oslo last July. Know more about her preparations for the upcoming Miss Universe pageant in this Beauty Talks. I’m a girl who always work hard for my goals, but sometimes I can seem like a “cold person” to other people, when really, I am a caregiver and always take care of people around me. I’m just so focused on my work. Some outsiders will not understand that, before they get to know me. How would you describe Norway to your fellow contestants? Norway is a very beautiful country. We have a lovely nature, and the Norwegian people are proud of the mountains and valleys. We use our national costume called “Bunad” on 17th of May, which is our Independence Day. Norway is known for “brunost” (brown cheese) and “ostehøvel” (cheese slicer), and of course, we are awesome at skiing. My beauty secret has to be my personality. I always want to show people how much I care about them, and I will help people who is down, even if they are 10 – or 90 years old. I have a big care-heart, and think that beauty comes from within. What are your current preparations for Miss Universe 2017? My current preparations for Miss Universe 2017 is hard training, both catwalk and physical exercise at the gym. I have to ensure that I have my national costume ready in time, the evening gown, and other clothes and shoes. I am working with my English and how I can give better responds to the interviews. Also, I am Working for my sponsors and doing marketing. My thoughts about this beauty pageant, is that it is showing what women can do for the world. We can make a difference, and most of the participants in this contest has a very high education. This contest it’s not only about being perfect or professional on stage. We do charity work because we love what we are burning for. We are tough women who dare to say our opinion and speak up in public. We want to make a difference and make this world more beautiful. Who is your all-time favourite Miss Universe and why? Mona Grudt was the last and only Norwegian woman who won Miss Universe in 1990. She has made her own magazine, and she work hard for what she loves. She has been host for Top Model, worked with events, singer, model and ceremonies. She is my all-time favorite Miss Universe because I also want to live for what I love, make my own magazine and be a part of so much differene events. She is so good to show her personality, and that is what I also want to share in Miss Universe 2017. What makes you proud of being Miss Universe Norway 2017? I am proud to be Miss Universe Norway 2017, because now, I can show other countries how beautiful Norway is. I’m also proud of the chance I have to be a role model for younger people in public for what I working on. With this title, I can convince others, that there is more to being a Miss, than just smile to the camera. We work hard for so many important things for the society. 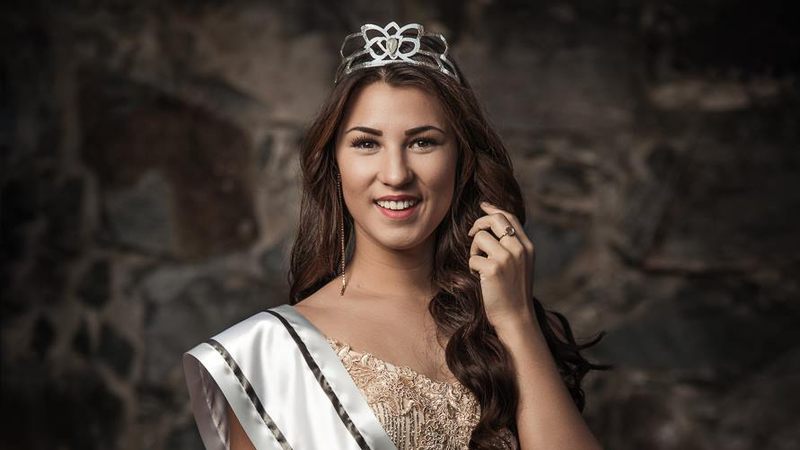 What would you say to other Norwegian girls that would like to participate next year in Miss Norway 2018? First of all, I want to say to them that this journey is amazing. I have never experienced so much, in just one year. When you step in to this contest, you will learn so much about yourself, other people and other countries. You are really doing something for the community. I am a hard-working girl/woman who never give up on my goals. I’m a very social person who can communicate with anyone. I love to work with sponsors and travel around on events, photoshoots, charity work and just talk with people to show them who I am (use my personality and show what I’m good for). I want to be there and make a difference, in a good way.